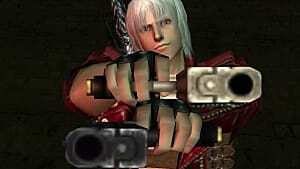 Its been a while since we've heard from Capcom's series, Devil May Cry, and fans are itching to hear more from Dante. The last 'numbered' title, Devil May Cry 4, was released in 2008 to a positive reception. Critics praised the game's hack-and-slash gameplay, along with the inclusion of the character Nero for 'bringing something fresh to the franchise.' 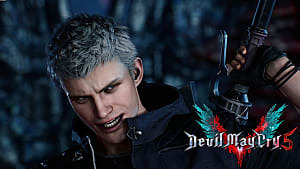 So far, this has been the only game featuring Nero, but if a new game is announced, there could be a strong chance of players seeing him again. Nero played very similar to Dante, with his primary weapons being The Red Queen, a customized Durandal sword, and The Blue Rose -- a customized revolver. He also is able to wield the Yamato, a weapon that has featured in previous games. Nero has been seen as the only one who can completely repair it. In a mutation exclusive to Nero, his right arm takes on a demonic appearance known as the Devil Bringer and allows him to grab enemies from afar to easily attack them, as well as reach higher places and solve puzzles. 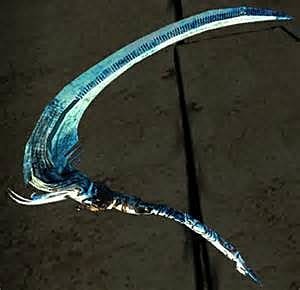 This is also the source of his Devil Trigger, allowing him to deliver more brutal attacks. 2013 saw the release of DmC: Devil May Cry. When the first trailer hit, fans had a negative reaction, disliking the game's new direction and Dante's new look. Even series creator, Hideki Kamiya, voiced his reaction, saying he was 'missing' Dante. 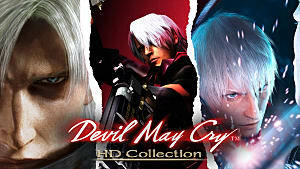 And since then, apart from HD re-releases, we haven't heard anything from the Devil May Cry series for a long time. Rumors are that Capcom will announce the next game this year. Currently, they are working on Deep Down, a single/multi-player dungeon crawler, which, at the time of writing, has no known release date. So how much money is Capcom actually missing out on without DMC 5? In terms of sales, both previous DMC games sold extremely well. Devil May Cry 4 sold 2 million copies in its first month, making it the fastest-selling title in the series. And by the end of it's launch year, it sold 2.32 million copies -- which then would reach 3 million copies by December 2014. And when you factor in how much games retail for these days....I don't have to tell you what an astounding amount of money that is. 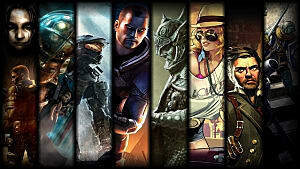 As of June 2016, 1.6 million copies of the original game have been sold worldwide. 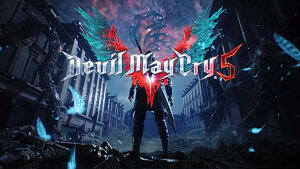 With DmC, Capcom initially hoped to sell 2 million copies by the end of its financial year, but later revised that figure to 1.2 million copies. And while it didn't do nearly as well as the developer anticipated, the game still sold 116,000 units in its first week in Japan and the top spot in the charts. The game also reached the top spot in the UK. Still , it only made a third of the sales of Devil May Cry 4. Maybe that's why Capcom is hesitant to release another game in the franchise? Either way, DMC fans everywhere will agree that it's long past time. And if you ask me, I'd guesstimate that DMC5 could sell as many as 3.5 million units at the end of its launch year. That would be a huge financial gain for Capcom. When we finally do get Devil May Cry 5, what can we expect to see? First, I feel that Nero deserves to return. He was an excellent addition to the franchise and certainly doesn't deserve to be relegated to being a one-appearance character. So DMC5 needs to see Nero return as a main character. Perhaps he has some unfinished business with another enemy that we haven't seen yet, and we'll get an origin story? Perhaps Kyrie, his love interest, could also be involved in some way to help Nero defeat this enemy? It has also been confirmed that Nero is Vergil's son, making him the nephew to Dante. 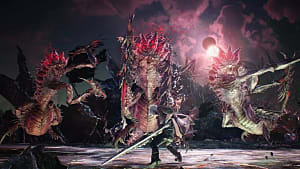 As neither of the pair know this, DMC5 could go down the route of Nero searching for his family and discovering his connection to Dante -- thus tying the two protagonists of the series together. If Nero does make a return, I think gameplay should stay relatively similar to DMC4, with only a few additions to it. As the old saying goes, if it ain't broke, don't fix it. 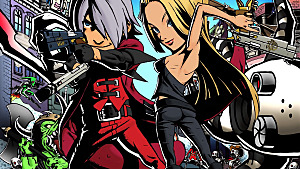 If the next game is DmC 2 instead of a true Devil May Cry 5, it'd be interesting to see how other characters such as Trish and Lucia, could be introduced and fleshed out. DmC also bought Demon and Angel weapons, which, like the other games, allowed players to switch up fighting styles at the tap of a button. Demon and Angel weapons were not only used as a means of combat -- players were able to go back to previous missions and use these to discover secrets such as bonus missions and health upgrades. Seeing these return in a potential sequel would be understandable and an excellent addition to the gamplay. Maybe we could see a Demon rifle of some kind or an Angel katana? Will the upcoming game be a direct sequel to Devil May Cry 4 and will it feature the return of Nero? 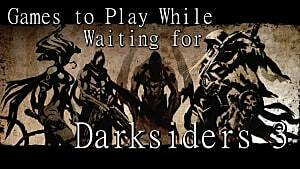 Or will it be a sequel to DmC: Devil May Cry? We'll have to wait and see what this year's gaming conventions bring. What are you hoping for with the next Devil May Cry game? Did you enjoy DmC: Devil May Cry? Let us know down in the comments. Miss Devil May Cry as much as I do? Maybe these games will help.